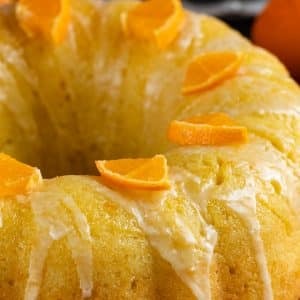 This simple glazed Orange Pound Cake has orange flavor in every bite from zest and juice in the cake, glaze, and icing! It’s the perfect homemade bundt cake. A few weeks ago our neighbors brought over some oranges from their tree. And when I say “some oranges” I mean the amount Walmart orders for a random Tuesday. Now, Mel will eat oranges and Jordan drinks orange juice, but me? I’m an orange dessert kind of girl, which is weird, because until about eight years ago I hated citrus. Then I discovered lemon desserts like lemon bars and lemon pie and orange frosting. In the past I’ve made a lemon pound cake and a lemon butter cake, and both were HUGE hits. 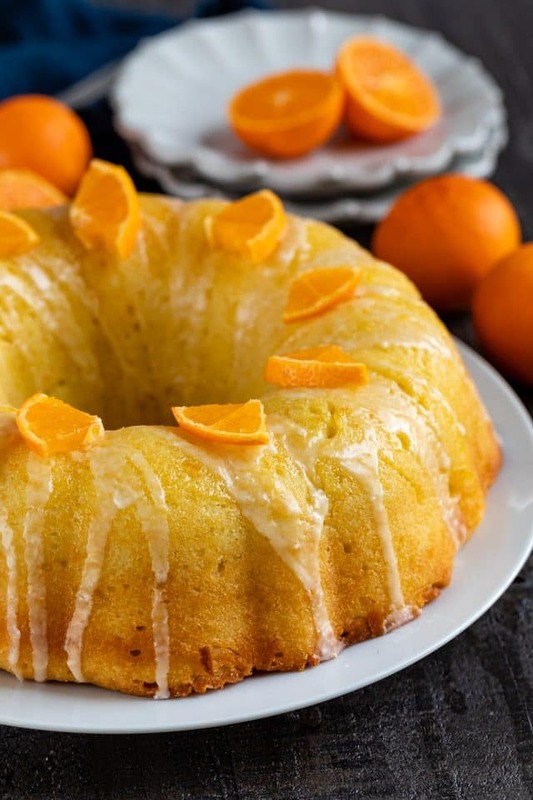 Lemon and Orange are from the same citrusy family…so why not make an orange pound cake? Orange Pound Cake. Or is it Orange Bundt Cake? I don’t know, I think they’re the same thing? 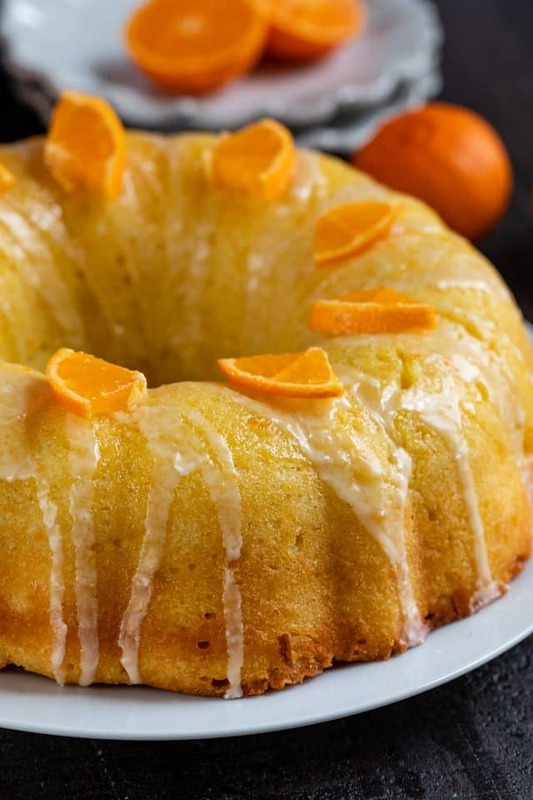 Orange Pound Cake is a homemade cake using triple the orange flavor. There’s orange in every bite of this from scratch bundt cake! 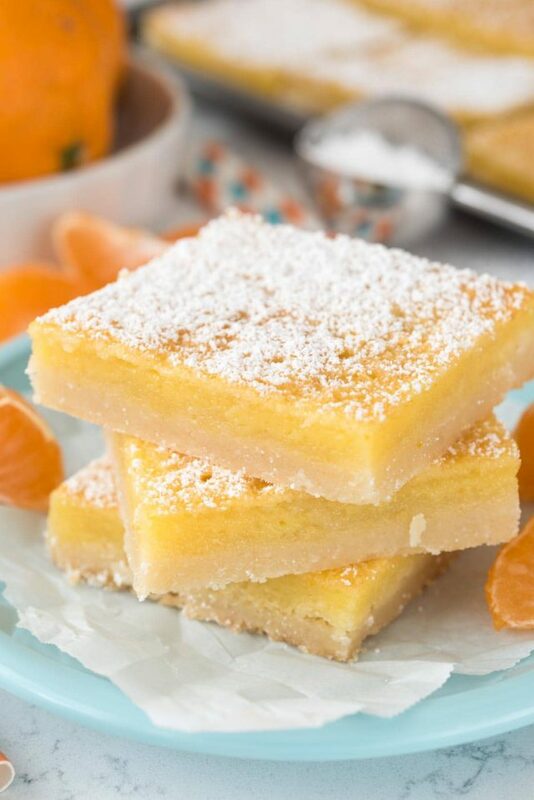 This cake has triple the orange flavor in every bite! The cake is filled with orange zest and juice. The cake is drenched with an orange simple syrup before the frosting goes on. The frosting is an orange powdered sugar glaze. I think a pound cake is my favorite kind of cake to make. They’re easy and all in one pan. Frosting is drizzled so there’s no mess…bundt cakes are the perfect cakes! 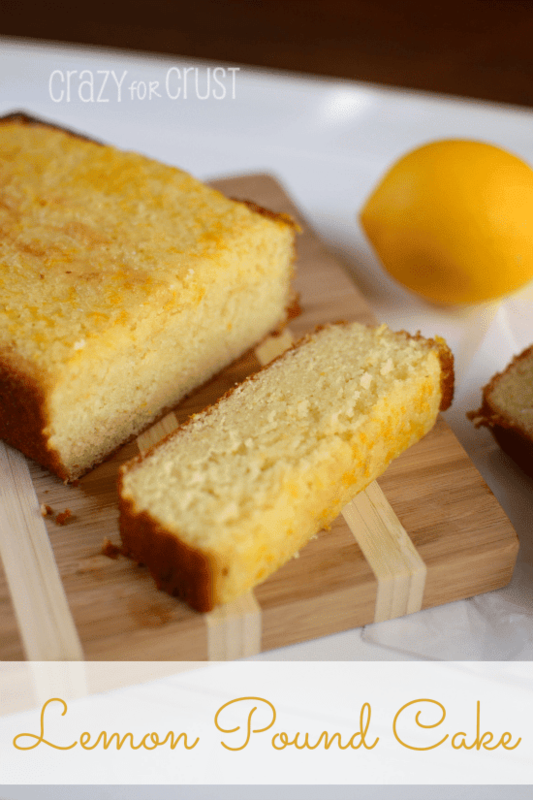 If you love lemon or orange pound cake, this is the cake for you. This cake is dense, rich, and orangey. This is one of those cakes you make and then realize you have a whole cake in your kitchen, one that you’ve been dreaming about for 3 weeks…and you realize you have to get it out. I ate a slice (or three) and gave the rest away. Because when you get a bag of oranges…you should make cake. Be sure to cream the butter and sugar long enough. It should be light and fluffy. Use just the orange part of the zest, not the white. The white is bitter. I used mandarin oranges but you can use naval or any kind you like. You can also bake this as two loaves in two 8.5×4-inch loaf pans. Orange Pound Cake is the perfect sweet and citrusy cake that's a good alternative to lemon! 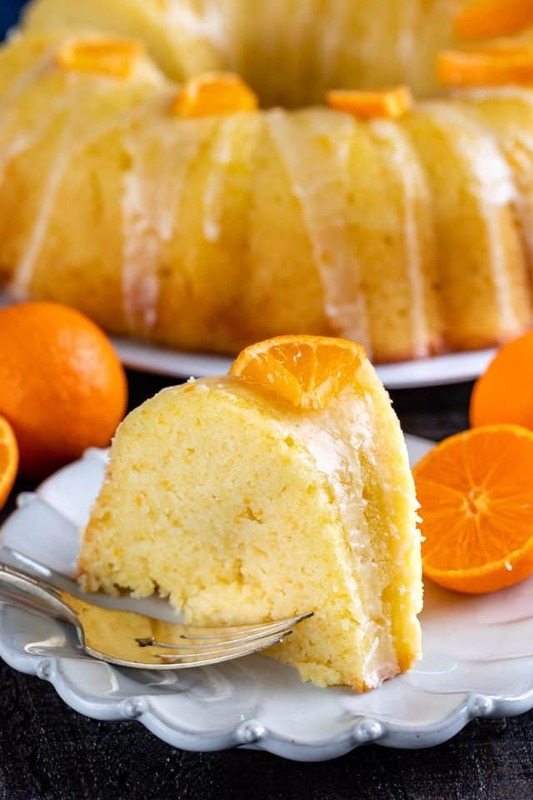 Use up your oranges to make this easy bundt cake with triple the orange flavor. Preheat oven to 350°F. Spray a bundt pan with nonstick cooking spray (use the kind with flour for best results). Whisk together flour, salt, and baking powder in a medium bowl. With an electric mixer, cream butter and sugar until light and fluffy. Add eggs, one at a time, beating well after each addition. Combine buttermilk with orange zest, orange juice, vanilla extract and orange extract (if using) in a measuring cup. Add the flour mixture (with the mixer on low) in three parts alternately with the buttermilk mixture, beginning and ending with flour. Beat just until it comes together. Do not overmix! Pour batter into prepared pan. Bake until a toothpick inserted in centers comes out clean, 45-55 minutes. While the cake is baking, make the glaze by heating granulated sugar and orange juice in a small pan over low heat. Bring to a simmer and stir. Once sugar is dissolved, remove from heat and let sit until cake is done. It will thicken as it cools. Once done, cool cake 10 minutes in pan, then turn out cake onto a rack. Use a pastry brush to spread the glaze evenly over the tops and sides of the cake. Let dry and cool completely before drizzling with frosting. Make the drizzle by whisking powdered sugar with juice and zest. Use 1-2 tablespoons of juice for desired consistency. Leave the cake on a rack. Drizzle over cake and let dry, about 30 minutes. Carefully transfer cake to a serving plate. Store loosely covered for up to 3 days. You can also bake this in two 8.5x4-inch or two 9x5-inch loaf pans. Baking time will be between 35-50 minutes. 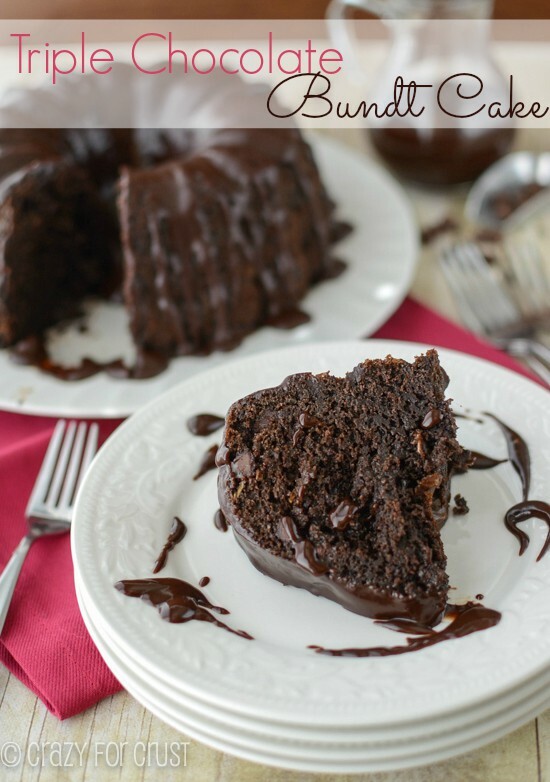 The original recipe for this cake used 1/2 cup unsalted butter and 1/2 cup plain greek yogurt. You can still make it that way (the rest of the recipe is the same) but it will change the texture of the cake. This post was originally posted in 2014. Recipe and photos updated 2019. I could have used this one today. I have two different oranges I want to play with. A pink navel orange and my beloved blood oranges but both will have to wait until I return to town to use them! This one looks so fresh and wonderful! i’m glad i stumbled on your page… what a treat you are! Why do you use baking powder instead of baking soda or both, since there is plenty of acid in the recipe? So into the season ! Beautiful ! Young Lady, I have not tried this recipe yet, so I have no comment, I just want you to know that your daughter, and her dog are simply Beautiful…. don’t close your eyes, she will be gone in no time..